Hello you lovely lot I hope you all had a good Christmas, mine was lovely and chilled and filled with plenty of food and drink!! 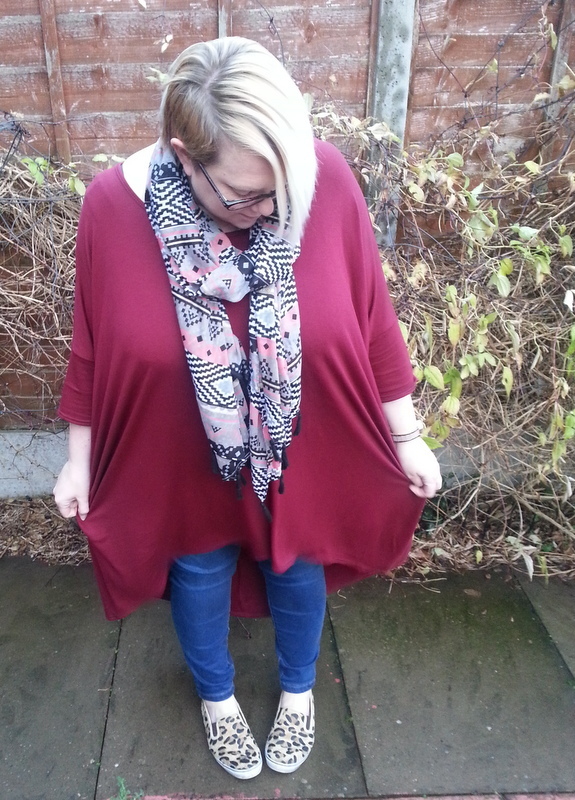 Before the year finishes I thought I would try and squeeze in another quick outfit post! 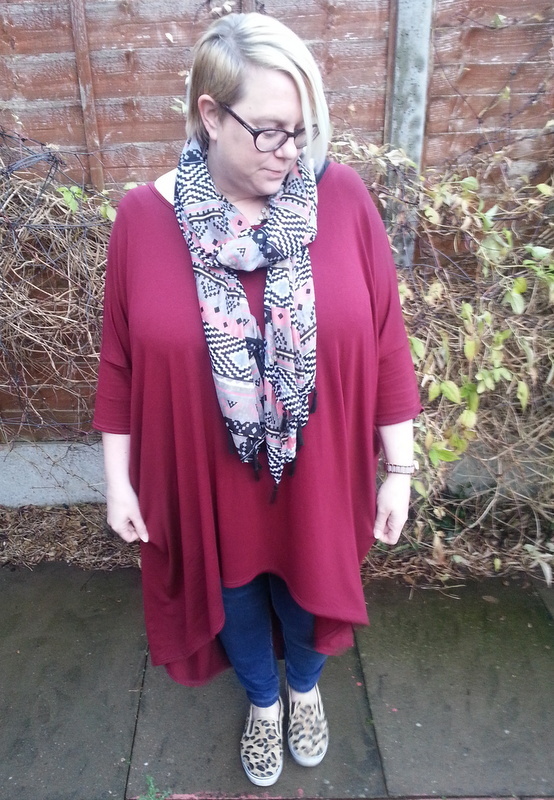 If you are a regular reader of my blog then you will know I love oversized tops but finding good plus size ones has been in the past a bit of a challenge. Last year I discovered Yours clothing had some and bought myself one you can see it here . 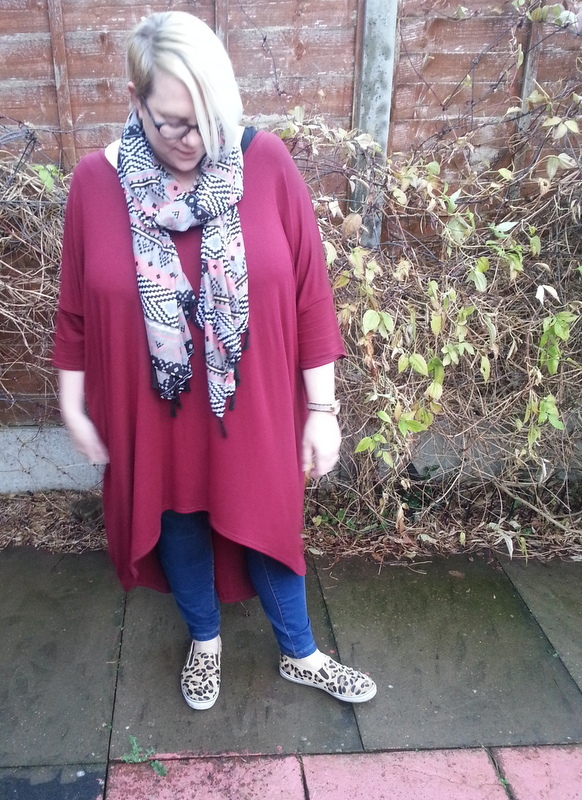 I decided I wanted another one but in a more autumnal colour so I took a punt on of there oversized tops with the dipped hem. I bought the 22-24 and I could have gone for the 20 as these tops are really oversized but I always feel it allows for a bit of shrinkage when washed. The colour is fab for this time of year and you could easily wear this with leggings as well as jeans. The dipped hem at the back is very long and bear in mind that I a 5'4 so if you are taller it will work well. 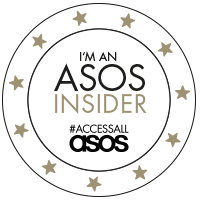 I have to say that when it comes to these types of tops Yours have got it spot on and I may peruse the sales to see what other ones I can find to add to my collection!! !